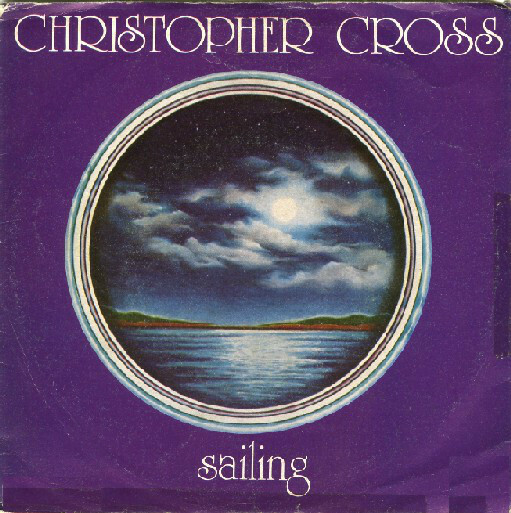 “Sailing” is a 1980 soft rock song written and recorded by American artist Christopher Cross. It was released in June 1980 as the second single from his eponymous debut album. The song was a success in the USA, reaching number one on the Billboard Hot 100 chart on August 30, 1980, where it stayed for one week. The song also won Grammy Awards for Record of the Year, Song of the Year, and Arrangement of the Year, and helped Cross win the Best New Artist award. VH1 named “Sailing” the most “softsational soft rock” song of all time. The song was recorded in 1979, utilizing the 3M Digital Recording System, making it one of the first digitally recorded songs to chart. In his Grammy acceptance speech, Cross acknowledged “Sailing” as his favourite song on the album and that originally it was not meant to be a single. The song was later identified as an archetype of the genre that later became known as yacht rock; Cross and similar artists referred to the style as the West Coast sound at the time.